Ace broadcaster and media communication specialist, Funmi Iyanda grew up in Shomolu Lagos, but left the area when she was 10, about 30 years ago. Yesterday, she visited the area again and described it as an urban slum, unrecognizable and with depressingly decayed infrastructure. 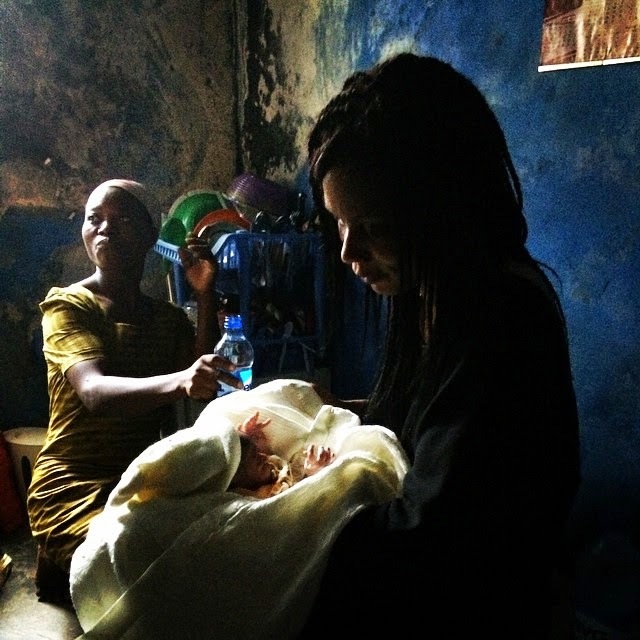 When travel writer, Lee Abbamonte, described Lagos as the worst place on earth, many denounced him, but Funmi's narration on Instagram strikes a chord. Sisi Bose cooks for me, has done for eight years. She's a fantastic cook. She just had a baby, her second in 9 years. I went to visit her this morning in her home in shomolu. I know shomolu well, i lived there between ages 5 and 10. It was always a poor enclave surrounded by more middle class Gbagada, Akoka, and Morroco. It was poor when l was little but it was liveable and had neighbouring good schools and hospitals, the inner roads poor but outer links good. What l saw today has depressed me immeasurably. The inner roads are barely motor-able, outer ones narrowed by erosion and wanton construction. The houses are sinking, damp, lacking toilets and unsanitary. It's no way for anyone to live but the houses are bursting at the seams with people. Overcrowded, impoverished and unsanitary. The people are live wire angry, snarling at little provocation everyone hurrying to and from church. However the decay and squalor did not stay in shomolu, one after the other the middle class satellites have all bowed down to the dejectification of life and reduction of human dignity. They are all in varying degrees, urban slums. On the way back l stopped at my polling unit for my voters card. Once again my name is missing. I had moved my flight back and gone there three days in a row. Have l been systematically disenfranchised?